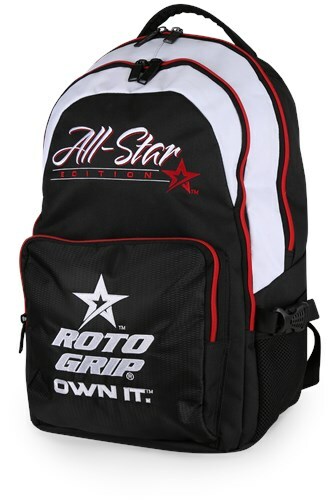 This New Roto Grip All-Star Edition backpack is great for carrying extra supplies to the lanes, school, the gym, on a hike, or just wherever you need to carry stuff without tying up your hands! Due to the time it takes to produce the Roto Grip Backpack All-Star Edition ball it will ship in immediately. We cannot ship this ball outside the United States.